Australia’s debate on becoming a republic continues to rage on. Australia’s form of government may soon change, potentially in the coming year, based on the health of its monarch, the Queen of Australia, Elizabeth II. Australia, as one of the Commonwealth realms, shares a monarch with several other nations including Canada and New Zealand — the same person who has traditionally served as the monarch of the United Kingdom of Great Britain and Northern Ireland. 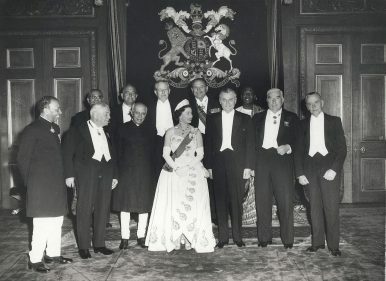 It is important to note that although the monarchy of Australia is rooted in its British heritage, the monarchy of Australia, like the monarchy of Canada, are technically separate institutions from the British monarchy; they are united only in the person of the monarch. While the future of the monarchy is not in serious question in the medium-term in Canada and New Zealand, republicanism has a strong following in Australia. According to a recent claim by Australia’s republican lobby in mid-December 2016, “a majority of Australian MPs want to break ties with the British monarchy.” Australian Prime Minister Malcolm Turnbull is a staunch republican, despite being the leader of the Liberal Party of Australia, the traditionally pro-monarchy conservative party. However, many leading conservative figures support a republic, though one prominent one, George Christensen, said that this was “subject to the right model being chosen.” Christensen advocated a presidential system with a separation of powers, as in the United States. Australia’s other major parties, Labour and the Green Party have long favored a republic. Turnbull previously led a failed push for a republic in an unsuccessful referendum in 1999. In a speech two weeks ago, Turnbull said that he had “no other motive, no other reason than love of country,” for supporting republicanism, adding that “we do not diminish or disrespect the patriotism of those who take a different view.” However, Turnbull added that any changes to Australia’s political structure would only occur after the reign of the popular current monarch, Elizabeth II. The recent surge in support for a republic in Australia is the culmination of numerous trends over the last few decades. The almost exclusive security relationship between Australia and the United Kingdom began to fray during World War II, when British forces elsewhere in the Asia-Pacific suffered defeats against Japan and the United States emerged as the main security provider in the region. Domestically, Australia has changed from being a country defined as being “British to the bootstraps,” as its former prime minister Robert Menzies put it, to a more pluralistic, multiethnic country. Additionally, trade has boomed with China and Southeast Asia, and Australia has increasingly begun to see itself as a part of the greater Asia-Pacific region, rather than as a European implant. The majority of Australia’s population now supports a republic as being more in line with modern values and its place in the world. Australian republicans are now targeting a new referendum date of 2020. However, it is uncertain what the long term benefits of ditching the monarchy would be, especially if the monarch is simply replaced with a ceremonial president, and Australia remains a parliamentary system instead of becoming a presidential system. Unlike some former commonwealth monarchies like Ireland and India that had a strong need to cast off reminders of British rule, Australia has has no similar history of bitterness. The Australian Monarchist League disputed the need for a republic and the fact that republicanism was in vogue. The League’s chairman Philip Benwell said: “The younger generation don’t want a republic. Most of our members are in their 20s and early 30s. Younger people have a mistrust of politicians and that’s what’s being promoted again – a politicians’ republic.” However, the current momentum in Australia seems to be on the side of a republic. If the queen’s reign ends soon, Australia may move swiftly towards establishing a new political order. Will Canberra ditch the British monarchy? The Labor party wants to put it to a vote.